The 2016 Toyota Yaris is a small powerhouse. It offers the kind of fuel economy that saves big money on every trip, big and small. It also has many features that you won’t find on rival cars. There’s also that legendary Toyota durability that you can’t get anywhere else. If you are looking for an affordable, smart car, test drive the Yaris at Gloucester Toyota dealer serving Yorktown VA.
9. Nine airbags. The Yaris has nine airbags and whiplash-lessening seats, a Toyota exclusive. 8. Eight color choices. The Yaris has six standard color choices, and now it offers two combinations. You can get a sporty red or a handsome white with a black roof for accent. 7. Many trims. You get two configurations and multiple trims to let you find the right one for you at Gloucester Toyota dealer serving Yorktown VA.
6. Fuel Economy. The Yaris earns 30 mpg city and 37 mpg highway! Now that’s some savings. Learn about pricing. 5. Five-door value. The five-door Yaris is a great value, and it has a large 15.9 cu.ft. cargo hold. 4. Financing. Toyota financing makes this affordable car even more affordable. Learn about your loan options. 3. Three-door value. The Yaris has three-door editions that are an especially good value. You get all of Toyota’s legendary durability in a budget-friendly package. 2. Two-in-one Bluetooth fun. Bluetooth streaming audio and hands-free phone are standard to serve your entertainment and other connectivity needs. 1. HD radio. You won’t find any other comparably-priced car with standard HD radio. It’s just one way that Toyota rewards you for buying smart. 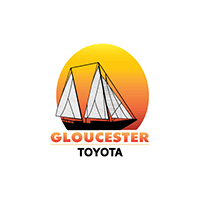 Visit Gloucester Toyota for a closer look.